Right I know what you’re thinking, Mk2?? Well let me explain Digital Designs originally released these as a AW6.5s components and you picked your driver and crossover so here in NZ we released them as the AW6.5s pictured on the left and Mk2 on the right. The only difference is the crossover; drivers and tweeters are the same. Today the AW6.5sMk2 come with the BC Series crossovers part number DD-CC1 a high end Audiophile spec’d crossover. See below today’s DD-CC1 on the right and the old one on the left. As you can see both very nice and well constructed crossovers. DIGITAL DESIGNS is proud to introduce a new line of components in cooperation with Anselm Andrian. In many years of audio discussions between Anselm Andrian and Jassa Langford, these two designers wanted to create a line of audio components expressly for enthusiasts who don’t have a trust fund from which to purchase audio equipment; enthusiasts whose desires are greater than their means. The goal was to bring together components with all the solid engineering to bring out the best performance while spending quality ear time to tune the sound. In short, spend the money where needed, don’t waste money on techniques for marketing hype. These drivers and xovers are based on years of hands-on experimentation, years in the machine shop and countless hours of listening to LPs, CDs, Reel to Reels and live instruments. Anselm is host to a magnificent collection of audio sources including several metric tons of vinyl, all of which take turns in the spotlight to reveal whether the latest changes are keepers or steps in the right direction. It is a passion that drives us to scrutinize minute details, to pursue the endless “what ifs” and search for that perfect snare, piano harmonic or vocal semblance. In the end, drivers are more than the sum of their parts and specs, if the music is to come alive, there is a symmetry and flow between the parts. There is a “rightness” to sound, which when everything comes together nicely, can bring out the live quality of music. This is the goal of the DDA venture. It is all about enjoying the experience. There are plenty of high tech parts to explore in the DDA components. The best materials and meticulous assembly techniques are used in the manufacturing; no compromises are made where quality or pursuit of accuracy is concerned. The DDA-W6.5 mid-woofers represent “state of the art” in driver technology. The machined motor structures are held to the tightest tolerances and provide a well damped magnetic field for the voice coil. The suspension was optimized for sharp mid-bass and controlled sub-bass. The coil wire is the highest temperature available and held with the finest adhesives. The coil former is ventilated and the wire gauge/former thickness optimized to reduce moving mass. The adhesives from the coil to cone are bonded with specialized, hardened material to pass all energy from the coil to the cone. The cone is made from lightweight aluminium to achieve wide bandwidth and efficient energy transfer to the air. The result is crisp, clear and detailed sound with forceful bottom end. The DDA-T28 is a wide-band tweeter with a 28mm coil diameter It uses two rear chambers, one behind the voice coil and a second milled aluminium chamber behind the motor. Shorting rings are used in the motor to flatten the impedance curve and wick away heat from the coil windings. The proprietary fabric dome has a range extending 10,000Hz past the hearing capability of the human ear. 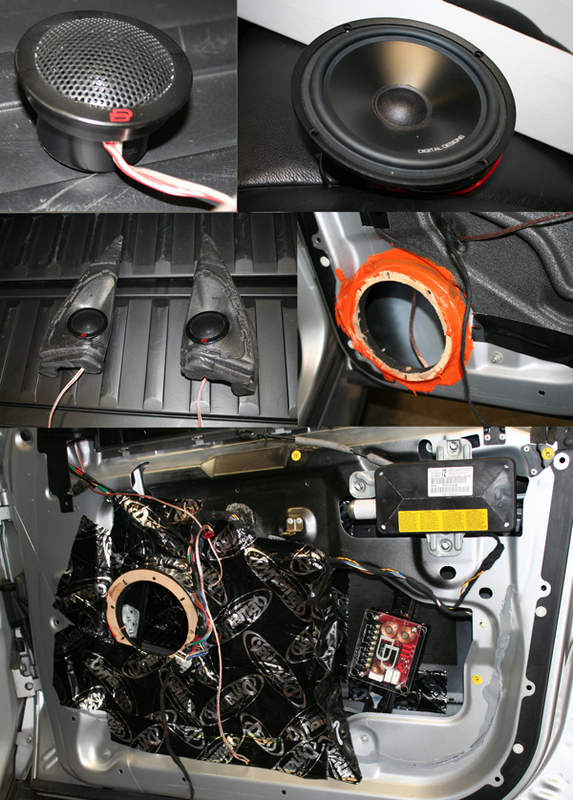 Countless hours of listening have been done to “tune” this tweeter via each part, glue joint and assembly step. The result is a most listenable tweeter which will show you new details you hadn’t known possible. The included CC1 2nd order bi-ampable passive crossover (also sold separately) is both eye pleasing with its dual finish metal chassis and hidden speaker terminals, and highly functional. It features +/- 3db tweeter attenuation, tweeter phase shift, selectable conventional or bi-amp input mode, air core coils, and metallized film caps. The DDA components are the first collaboration between DIGITAL DESIGNS and Anselm Andrian, products made for one purpose, to enjoy. Digital Designs History: Since 1986, we have been building products for the Pro Audio Industry, Marine Industry, Mobile Audio, Home Audio, Industrial Applications and OEM Applications that are still in use around the world. We take pride in our role as an American design and manufacturing company, offering high quality products for everyone. We spare no expense to create products that are built to last. 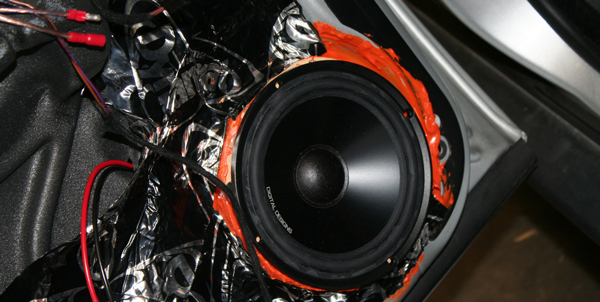 Our woofers are assembled by hand in the USA using the finest quality parts in the industry. 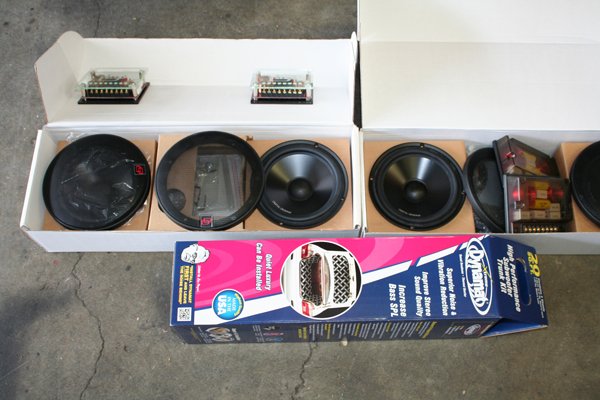 The components used to build our products are specifically designed to maximize longevity and sound quality. We do not make compromises to profit from substandard equipment. Thought we do it a little different this time, I mean the review. Right, to test these out I am going to install them in my X5. Dynamat will be used just so we do this right first time and I am very confident that they will stay in my car 😉 Now I should mention I have already had a set of these about 5 years ago in my EVO X so let’s get into this…. AW6.5s in the front doors and Mk2’s in the back doors. Right, first thing I noticed was the sound!! Wow!! Of course you knew I was going to say that but hey they do really! Sound awesome. All types of music truly sound amazing and weather it be guitar drums, mid bass, vocals, all was very well balanced. Have to say these will stay on my favourites list until something comes along that can give them a run for there money. Note; not only do they sound great but subwoofers wont be a must as they do generate a fair bit bass themselves. Pros: Amazing sound all round, Great attention to detail, rich and smooth bass. Love those mids and highs. Cons: Going to need some room for these tweeters in some cars. The Verdict: An “outstanding pair of speakers” deserves an award for best sounding Components for 2013/2014, great work DD Audio!! I must say yes I’m aware of there price point, but if you can stretch the budget it will be definitely worth it.